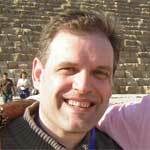 Scott Creighton reacts to theories on the mysterious ‘void’ found within the Great Pyramid of Giza, and proposes a reinterpretation of the facts based on original research. The recent discovery of a massive ‘void’ within the Great Pyramid of Giza has been hailed as something of a triumph for the modern muon technology that discovered it, the first major discovery within the Great Pyramid since Colonel Richard Howard Vyse discovered the ‘Chambers of Construction’ in the nineteenth century (though the Italian explorer, Giovanni Caviglia, disputes this and lays claim to the discovery of the first of these chambers). 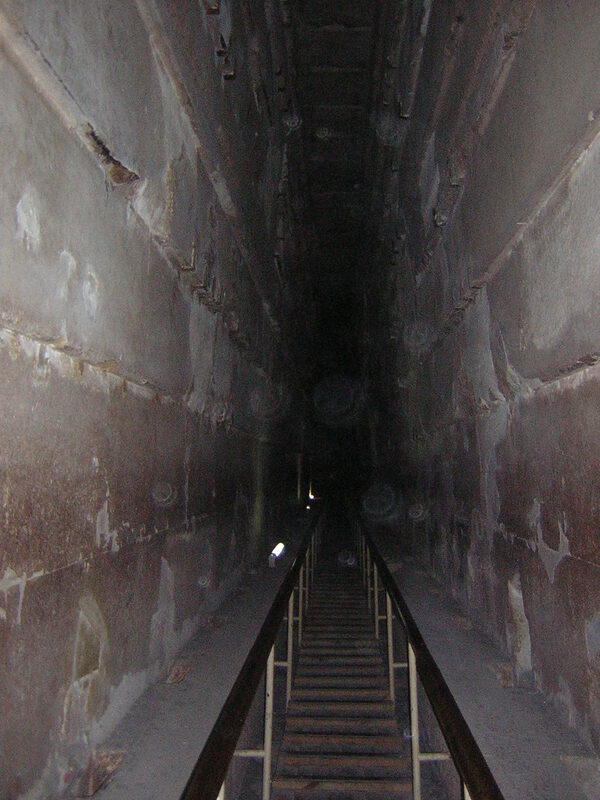 This ‘void’ is believed to have similar proportions to the Grand Gallery (157 x 28 feet) that sits some way below it (Figure 1) though, at present, scientists are uncertain as to whether or not the space is also inclined like the Grand Gallery. Figure 1. 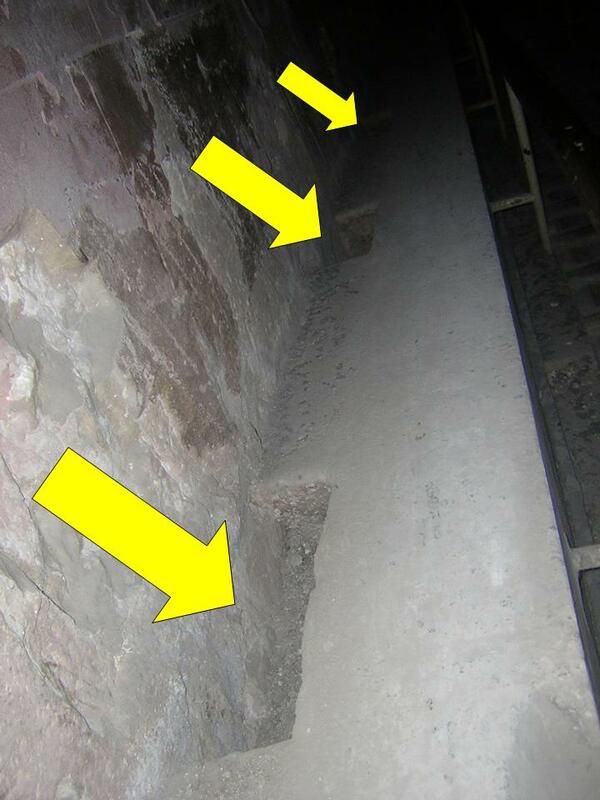 The Chambers of the Great Pyramid showing the ‘Void’. The discovery of this void has mainstream Egyptologists scratching their heads as to why such a massive ‘space’ should exist high above the Grand Gallery of the Great Pyramid at all. While Egyptologists such as Mark Lehner and Zahi Hawass of the ScanPyramids project team advise caution in declaring this space a new chamber, it seems perfectly clear from the data that this massive void is not like many of the much smaller sand and mortar filled voids that the Great Pyramid is peppered with. Indeed, this void appears to be something altogether different; one that is highly likely, after further investigation, to be found to be the fifth major chamber within the Pyramid. One of the reasons why Egyptologists are hesitant to pronounce this void a new pyramid chamber is that there is no obvious entry to it. No passageways or connecting tunnels have been detected. If it is indeed a purposely built chamber, then it appears to be entirely isolated and apparently without any obvious means of access. Why would Khufu build his pyramid with a totally inaccessible chamber inside of it? Some have speculated that Khufu may have built this chamber to store his treasure, to perhaps take with him to the Afterlife. This scenario seems highly unlikely since, in accordance with ancient Egyptian burial rituals, it was the job of the ancient Egyptian priests to place these items within the Pyramid only after the king’s death, by which time it would have been long completed. How, then, would it have been possible for the priests to place Khufu’s afterlife goods in a chamber to which there is no access; a chamber that was entirely sealed off as the Pyramid was built upwards and over it? 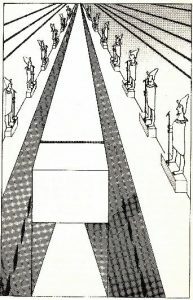 Others have proposed that the ‘void’ may have been built to protect the Grand Gallery below from the immense weight of the Pyramid pressing upon it. Again, this proposal seems quite unlikely, due to the corbelled design of the Grand Gallery, which effectively means that the Grand Gallery itself already works as a type of arch carrying the load above (Figure 2). It would seem somewhat excessive to build a stress-relieving void above the Grand Gallery when the gallery itself seems to have been specifically designed as a stress-relieving ‘arch’ that is more than able to carry the load of the Pyramid above. Furthermore, as we can see in Figure 1, the simple vaulted roof of the Queen’s Chamber is perfectly capable of carrying more weight (as a result of this chamber being lower down within the Pyramid’s superstructure). That there is no clear answer to any of these questions is the conundrum that is presently perplexing mainstream Egyptology. It seems that the mainstream narrative—that an ancient pyramid was simply a ‘tomb of the king’—needs a serious rethink, because the tomb paradigm cannot adequately explain this ‘anomaly’; especially if this void is found to be a purposely built, inaccessible chamber. While everyone is focused on the ‘void’ and the modern science that went into discovering it, no one is looking at what the ancient Egyptians themselves have said with regards to the building of the pyramids, and if there is any clue in their ancient texts to shed light upon this discovery. I have long argued over the years that the first, giant pyramids of ancient Egypt were conceived and constructed not to be the ‘tomb of the king’, but rather the ‘womb of the kingdom’; that the first sixteen or so pyramids of ancient Egypt, the giant pyramids, represented the allegorical ‘body of Osiris’ (which was said to have been cut into sixteen pieces and scattered across the land of Egypt). I have also argued that the giant pyramids were built to be ‘Recovery Vaults’ for the kingdom in lieu of the impending deluge, which the ancient Egyptians believed would overwhelm their kingdom. This idea of a ‘Recovery Vault’ is not unlike our modern-day seed vault on Svalbaard in the Arctic Circle, which opened in 2008. I did not, however, arrive at this ‘Recovery Vault’ conclusion of my own accord—I took my cue from what the ancient Egyptians themselves tell us, and that which was later written down by various Arabic scholars. Alas, these ancient texts from the Coptic-Egyptian tradition are pretty much dismissed by modern Egyptology as nothing more than myth and legend. This ancient Egyptian ‘mythology’ tells us that everything in creation came out from within the pyramids; that the pyramids gave (re)birth to the entire world. As stated, many of these myths were preserved and passed down in the oral tradition by the Coptic-Egyptians, the descendants of the original ancient Egyptian people and these accounts were subsequently committed to the written form in the tenth century AD by the Arabic scholar, al-Mas’udi. As briefly stated, this ancient tradition informs us that the ancient Egyptian kingdom anticipated a great deluge that would destroy their entire civilisation. In anticipation of this disaster and in order to mitigate its worst effects, the ancient Egyptian king at that time, Surid Ben Shaluk, ordered the construction of pyramids into which everything would be placed (seeds, tools, knowledge of their sciences and other civilising knowledge, etc.) so that the kingdom could be reborn after the flood waters had abated. “…The king then directed the astrologers to ascertain by taking the altitude whether the stars foretold any great catastrophe, and the result announced an approaching deluge. The king ordered them to inquire whether or not this calamity would befal Egypt; and they answered, yes, the flood will overwhelm the land, and destroy a large portion of it for some years. As a consequence of their beliefs, the ancient Egyptians had great reverence for their ancestors and would go to quite extraordinary lengths to protect their long dead bodies, often removing them from their original tombs to new, safer tomb locations when it seemed their original tomb was in danger of some kind (usually tomb raiders). An example of this practice comes to us from the famous tomb, DB320, located in the Theban cliffs of Deir el-Bahri. When discovered in 1871 (by a tomb robber by the name of Ahmed Abd el-Rassul), the tomb was found to contain the mummified remains of no less than 50 ancient Egyptian kings, queens and other members of the royal court. Included among the kings discovered were the mummies of Amosis, Ramesses I-III, Ramesses IX, Seti I, Tuthmosis I-III, Amenhotep I and his mother, Queen Ahmose Nefertari. Over the next ten years, the el-Rassul family pillaged this royal cache, selling countless numbers of precious ancient artefacts on the illegal antiquities market. Eventually, the Egyptian authorities became suspicious and soon caught up with the el-Rassul family ‘business’. “Soon we came upon cases of porcelain funerary offerings, metal and alabaster vessels, draperies and trinkets, until, reaching the turn in the passage, a cluster of mummy cases came into view in such numbers as to stagger me. Collecting my senses, I made the best examination of them I could by the light of my torch and at once saw that they contained the mummies of royal personages of both sexes; and yet that was not all. Plunging on ahead of my guide, I came to the [end] chamber…, and there standing against the walls or here lying on the floor, I found even a greater number of mummy-cases of stupendous size and weight. That all of these kings and queens were discovered together in a single tomb was apparently the result of a collapse of the Egyptian state; a collapse that led to a decrease in the protection of sacred sites and a consequential increase in tomb robbery. To protect the kings and queens from this danger, the Egyptian priests gathered together the kings and queens from their various original tombs and removed them to what they believed would be a much safer location. Given the protective practices of the kings and queens of ancient Egypt at the end of the New Kingdom period, it is not, therefore, surprising to find that the ancient Egyptians of much earlier times—in believing that their entire kingdom was in peril from a future deluge that would destroy their civilisation (as stated in the Coptic/Arabic texts)—would also have taken such a precautionary measure. To the ancient Egyptians, the deceased kings of former times continued to serve an important role for the living kingdom. As gods in the heavenly realm, they would assist the living king to ensure the sun would rise, the Nile would flow and that the crops would grow. The ancient Egyptians’ gathering together of the bodies of all their ancestor kings and queens from around the country and re-burying them in a single chamber in the heart of the Great Pyramid was likely their way of protecting and preserving their ancestors for all time and, specifically, from the destruction of the foretold deluge. Also, in doing so within a protected, inaccessible chamber, the ancient Egyptians were ensuring the preservation and continuation of the union between the Horus and Osirian kings, to bring about the rebirth of the kingdom after its anticipated demise. 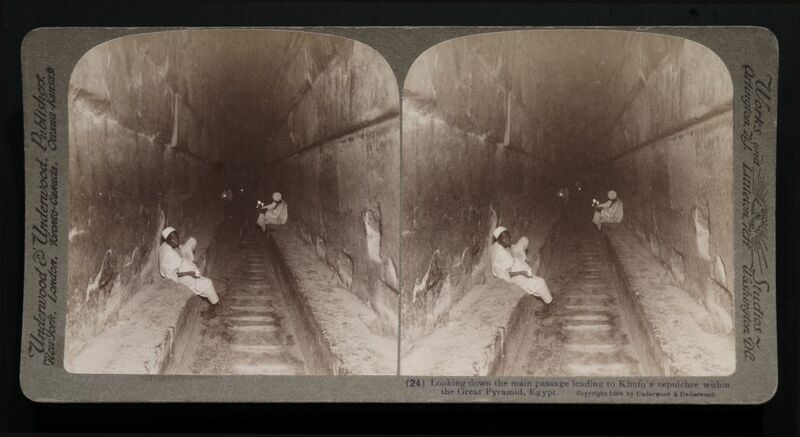 I fully anticipate that future, more detailed scans of this feature within the Great Pyramid will reveal that there are no access tunnels anywhere leading to this ‘chamber’. I suspect that the bodies of the ancestor kings of Surid were lowered into this ‘burial vault’ when the roof of the vault was still open, providing the only access to the cavity. I also suspect that once all the ancestor kings were interred therein, the ‘chamber’ was sealed over and the Pyramid was built on top of it, to its completion. If this is indeed the true function of this ‘void’—as a ‘safe haven’ for the ancestor kings, protecting them from the destruction of the coming deluge—just how many kings should we expect to find within it? While we cannot currently know this with a degree of certainty, there may, in fact, be a clue to this number hidden within the known chambers of the Great Pyramid, specifically the twenty-seven (perhaps twenty-eight) pairs of enigmatic notches or holes cut into the two ‘pavements’ of the Grand Gallery. In his book, Mysteries of the Great Pyramids (1978), the physicist and Egyptology enthusiast, André Pochan, proposed that these holes or niches of the Grand Gallery (Figure 3a-b) were slots into which statues of Khufu’s ancestors were to be inserted. But if the Coptic-Egyptian texts are right and Surid had planned to gather up and place the actual bodies of his ancestors within an inaccessible chamber high up in the Great Pyramid, why then would he also have placed statues of these ancestors in the Grand Gallery, as Pochan describes? The answer to this may be that these Grand Gallery statues of the ancestor kings and queens weren’t simple ‘profane statues’, but rather served a very specific and important religious function to the actual mummified kings’ bodies in the ‘void chamber’, and that this function related to the ancient Egyptian concept of the ‘ka double’. “The ka was a kind of astral double or spiritual duplicate of the deceased that was necessary for existence in the next world. When a person died, the ka continued to dwell in the body, and one reason for mummification was to ensure the ka a dwelling place. In case the mummy was damaged or destroyed, many Egyptians were buried with a ka statue. The statue was a portrait of the deceased that the ka could recognize and was meant to be an alternative dwelling for the ka if the mummy was not suitable”. 27 pairs = 54 ka statues = 54 ancestor kings (possibly 56 if 28 x 2 pavement notches). A question now for Egyptology is how to determine the true nature and content of this newly discovered area within the Great Pyramid. This could easily be achieved by drilling a small hole through the roof of the Grand Gallery and feeding an endoscopic camera through it and into the ‘void’ area. The more difficult question is whether Egyptology has the ‘political’ will to perform such an investigation (they did, after all, see little problem in drilling holes through ‘Gantenbrink’s Door’) and discover a truth that could have them overturning just about everything they have told us for the best part of 200 years. 1. C. Cookson, Previously unknown void found deep inside Great Pyramid of Giza. Financial Times, 02/11/2017. 2. M. Gadalla, Historical Deception: The Untold Story of Ancient Egypt (second edition, revised). Tehuti Research Foundation, May 2003. 3. G. Guglielmi, Cosmic rays reveal unknown void in the Great Pyramid of Giza. Science Magazine, 02/11/2017. 4. Colonel H. Vyse, Operations Carried On At The Pyramids of Gizeh in 1837, Vol 2 (Cambridge University Press, 2014) p. 319-330. 6. J. Heath, Archaeology Hotspot Egypt: Unearthing the Past for Armchair Archaeologists (Rowman & Littlefield, 2015) p. 46. 8. A. F. Alford, The Midnight Sun: The Death and Rebirth of God in Ancient Egypt (Eridu, 2004) p. 153. 9. R. M. Schoch & R. A. McNally, Pyramid Quest: Secrets of the Great Pyramid and the Dawn of Civilization (Jeremy P Tarcher, 2005). 10. A. Pochan, The Mysteries of the Great Pyramids: The Luminous Horizons of Khoufou (Avon, 1978). 11. P. Remler, Egyptian Mythology, A to Z (Facts on File, 2010). Right on. They need to drill a hole to get to the real truth and resolution of this issue. Yes get the bottom of this mystery while maintaining respect for the ancestors. What a finding this will be. I believe their is something in this space that will astonish the entire world. Maybe it contains the real mystery of our beginnings. Graham you was in my attention for couple of years now. There was a civilization before us. A big deluje happened and all started from nothing. The great pyramid is for us to know that somebody existed before us. They will do it in secret. Hope someone do something to unveil that soon. Rather than use invasive technology to discover the secrets of the chamber, I’d love it if some eminent Remote Viewers could be utilised. If it can work on other planets and times, surely a simple void should present few problems. Depends if you believe in the practice or not, but could do little harm, surely? The world needs to free the Egyptian sites from those who control them. The institutions stand mostly idle allowing countless ruins to get looted, and history to be lost. All the while they suppress academic inquiry and claim authority over a heritage that belongs to the entire human species, for the sake of “protection”. The curators of the Ancient Egyptian record are grossly neglecting their duties, its shameful, it’s a detriment to our entire civilization and one day it will lead to the destruction of this world’s greatest wonder. Why doesn’t the queens air shaft appear to extend to the outside? The conclusion implies that Egyptologists haven’t been telling us that the Great Pyramid was a tomb. It’s more likely that the void’s contents will be prove Chris Dunn correct that it was a maser. In any case, it’s remarkable that its solid angle is within 1% of pi/2. So I’ll now predict that just as there appears to be something connecting the KC to the GG, there will be a like feature at a height ‘h’ of 57.56 m from the base that appears to be connecting it to the newly discovered void when viewed in a cross-section containing the centre-line (of ‘radius’ R). Said value of h results in the same volume of the solid angle of a sphere of radius R (as given by 2/3 hπR^2) as that of the Great Pyramid. As long as Zahi Hawass has control of the sites, they’ll be no real inquiries. At least not publicly. He’s more likely to do something in secret so he can claim the accord. I would think, if a chamber was constructed to allow rebuilding after a deluge, one might want to inspect for blocks of salt or other water soluble minerals hidden with concealing mortar. The though is that after a deluge the salt or minerals would dissolve in the water, thus revealing instructions on how to access the hidden chamber. The mortar would protect the soluble solids from normal rainfall. Likely spots to examine would be the ceilings of the various chambers below the hidden void. Hello, it seems there are two camps, first says lets preserve these monuments the best we can for as long as we can, second says these were meant as repositories of knowledge meant to be used by a generation that can appreciate its worth – no matter what.